Discussion in 'Extended Range Guitars' started by WillyTheMLGPro, Nov 3, 2018. 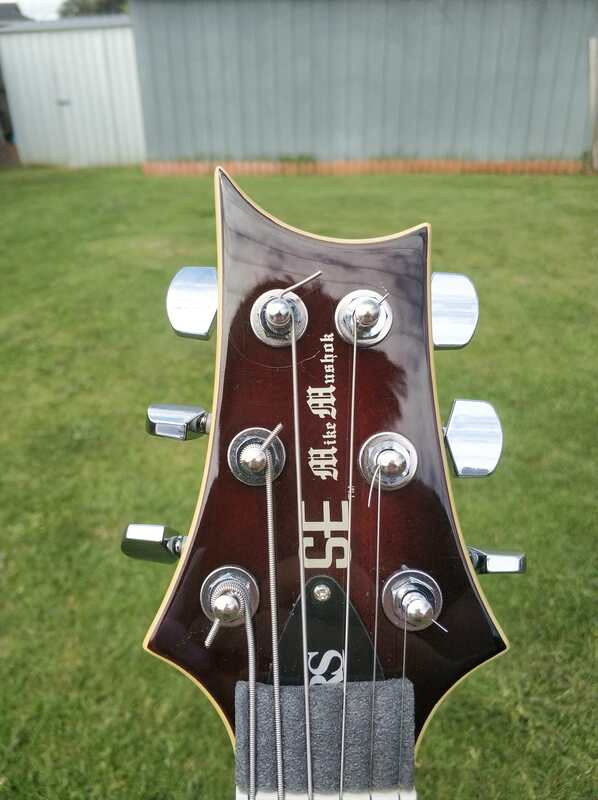 I thought that I would post some pictures and information regarding the progress on my PRS Mike Mushok Baritone. I acquired this guitar quite a few years ago when I was still in high school and had started to get into bands like Periphery and similar stuff with much lower tuned guitars. Since then its been mostly stuffed in case and not played until I started playing again recently. 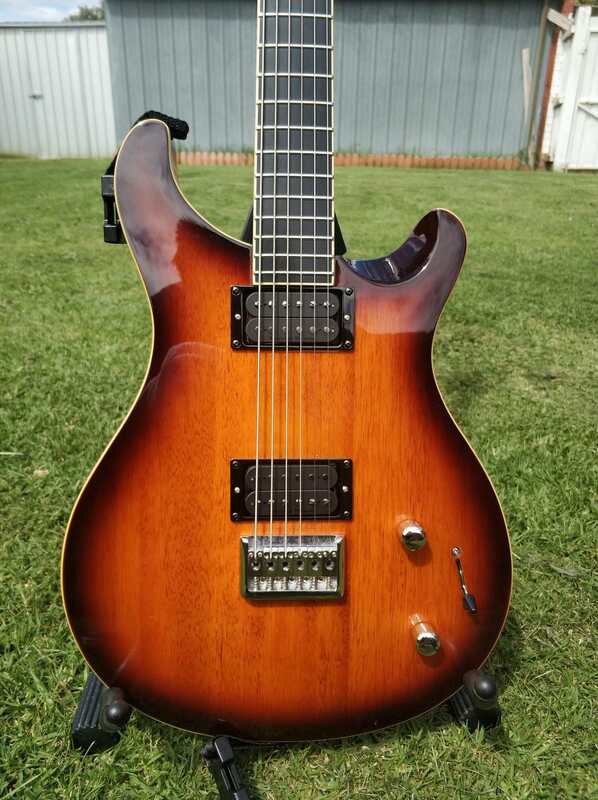 I debated a long time on pickup upgrades going back and forth between the Bare Knuckle Impulse set (which I might upgrade to in the future depending on the current set) and other choices from Seymour Duncan, Bare Knuckle and Dimarzio. It is currently strung with D'addario 14-68 gauge strings tuned to Drop F. I still have a few upgrades to go but at the moment, I have got majority of the work done. There are still a few things that I need to do including taking it to my tech to fix an issue with the wiring since I'm having issues and probably wired the whole thing wrong but oh well. I haven't had a chance to intonate it since I need to take it to my tech to fix the electronics. I have also been using the Music Nomad fret board oil and One polish to maintain it so I want to say they are amazing. Randy, goobaba, steinmetzify and 8 others like this. Man that thing is nice, and seeing it has given me the uncontrollable urge to go jam out some nu-metal on my SE CU24 7. WillyTheMLGPro, AkiraSpectrum and Mathemagician like this. That’s a good looking instrument. Glad to see everyone is enjoying it so far. I'll take some much nicer pictures once it is done and I may do something similar when I get my PRS SE SVN as I upgrade that. Cool. What upgrades you thinking of? 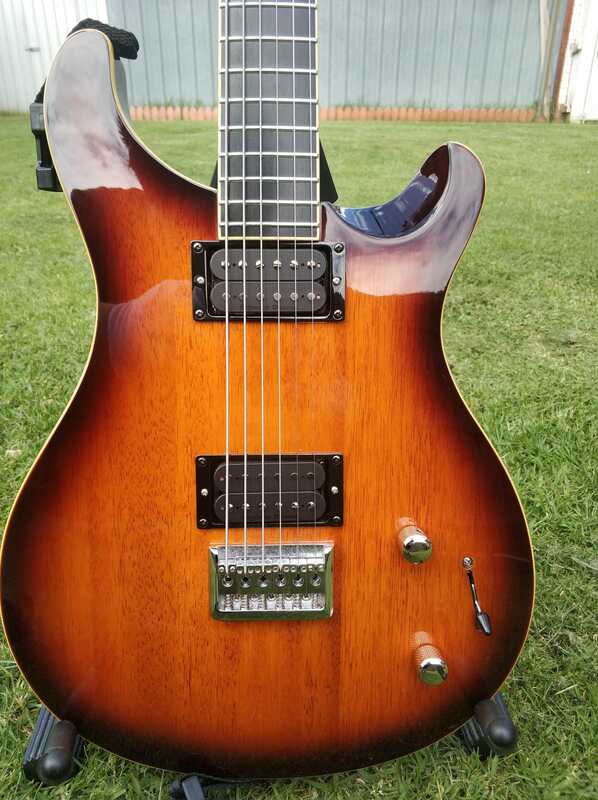 I have an older SE-7, and threw in some Duncan Pegasus-Sentient pickups and some Mann-Made Phase II locking tuners. Pretty similar to what I've done with my current PRS. 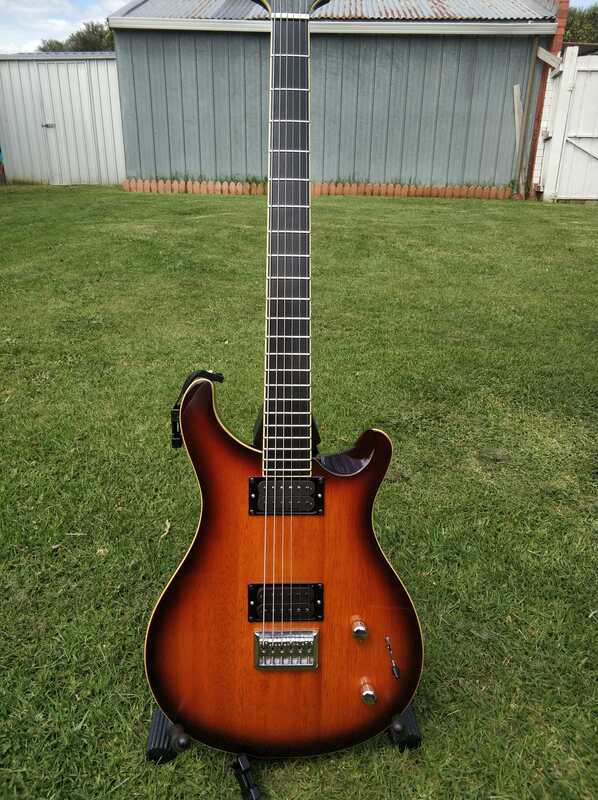 Replace all the electronics, disconnect the tone pot, add 5 way switch, new tuners and thats about it. 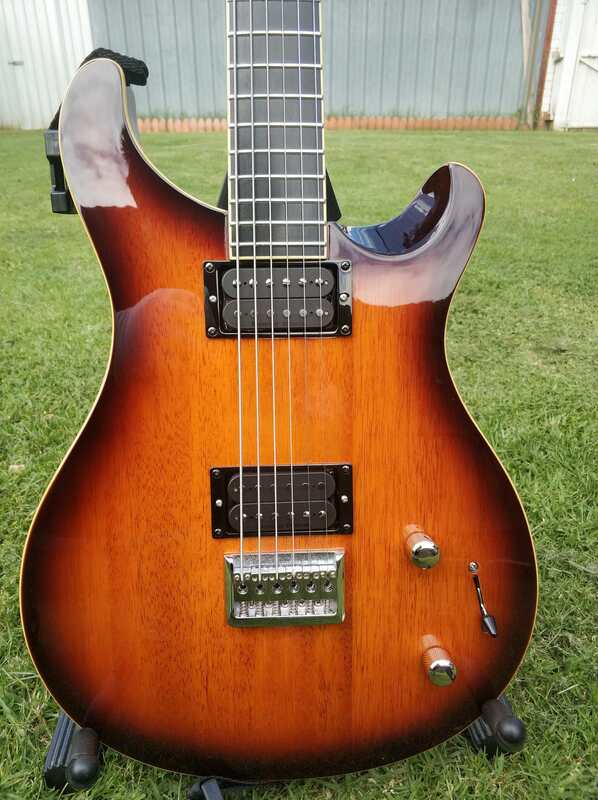 I forgot to mention it earlier but another upgrade that is planned but is not very high on my list is a Mann-Made Fatback Hardtail nickel bridge because I think the current/stock bridge is chrome despite the rest of the guitar having nickel hardware. Nice axe. I picked up the same one from a local guitar store on the beach that mostly specializes in fenders and acoustics...needless to say it wasn't popular with locals. I put a set of C-pigs in mine and it sounds absolutely brutal. AkiraSpectrum and WillyTheMLGPro like this. So quick update! Guitar is currently sitting in a case as I save up money to have some work done by my tech. The work includes a fret levelling, Bone nut, a setup and a look at the electronics since I wired something wrong with the pickups. After that the only upgrades/work that needs to be done is Schaller tuners and a neck re finish to satin. Hopefully this will be done soon but there probably won't be updates for a few weeks until it happens. So cool! Just stumbled upon this! I have one too with BKP Painkillers installed! Been my main axe for about 6-7 years. I wrote nu-metal influenced 4 albums with it, such an reliable beast!